You can’t drive without insurance and you will be happy to have it if you will ever find yourself in an accident. That being said, you don’t need to spend any more money than you absolutely have to. If you know what affects your insurance rates, you will have easier time knowing what to do to be covered without going bankrupt. In order to attract new clients, every insurance company offers some kind of discounts and special deals. Make sure you don’t miss one and ask the agent about all that can apply to you. If you have traffic tickets or accident records, you are likely to get higher quotes and rates. If you get a speeding ticket, consider going to a traffic school to get points off your record or to get it completely dismissed, if there is an opportunity for such school. Even if the ticket remains, the time in school can end up saving you hundreds of dollars in insurance costs. If you think that your car does not have higher value than full coverage deductible would cost, consider reducing the coverage. It makes a lot more sense for older cars to not have collision and comprehensive insurance. Collision pays to repair damage to your vehicle if it crashes into another car, object, or flips. Comprehensive covers you if your car is stolen, vandalized or damaged because of hitting an animal. Drop the coverage if your deductible and yearly fees are higher than the value of the car. Collision and comprehensive almost never pay more than the car is worth, so calculate if it is financially sound to pay the full coverage. You can save a lot of money by dropping the coverage if you continue to put the money aside. 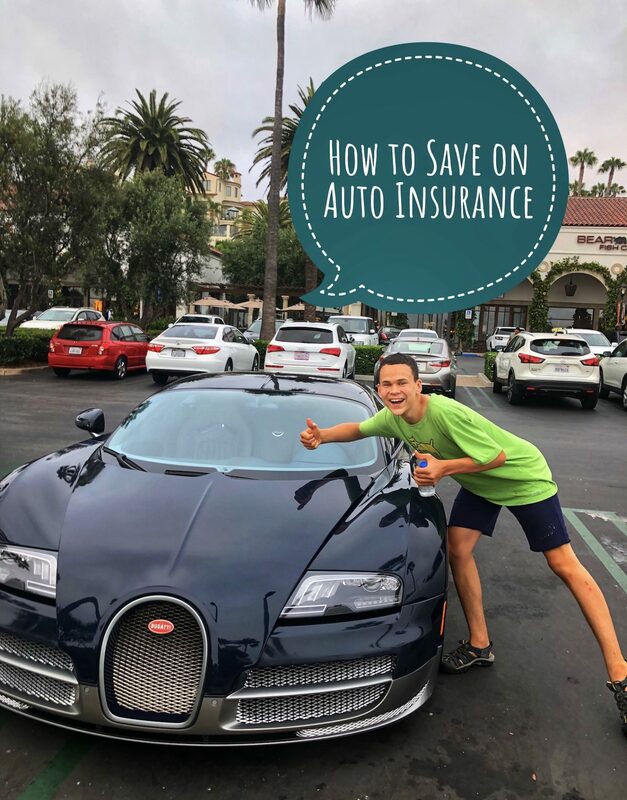 You might save enough to repair the car if damaged or the saved amount can make a nice down payment for a newer car once the old one stops working. If you are considering buying a new car, do some research about insurance rates for that type of vehicle before buying. The type of car really affects your rate, especially if you want to get collision and comprehensive. Safe, medium-priced vehicles, like minivans and small SUVs are a lot cheaper to insure than flashy luxury cars. Increasing deductible might save a significant amount of money. Deductible is the amount of money you will pay out of pocket for repairs that is not covered by the insurance company. For example, if you have $500 deductible and your bill is $3,000, the insurer will pay $2,500. If you want to pay less every month, consider increasing your deductible. This way you will pay more for repairs, but you might never need it, or if you do, you will have some money saved up. Raising the deductible from $500 to $1,000 might save you $200 each year. If you rarely drive, consider getting usage based-insurance. This program bases their rates on how much and how well you drive. A small device is installed in your car, which tracks your movement and reports all the data to the insurance company. You will get a discount for low mileage. MetroMile and Esurance offer pay-per-mile insurance. MetroMile is available in California, Illinois, Oregon, Pennsylvania, Virginia, and Washington. Esurance is offered in Oregon. Many standard companies offer pay-per-mile programs. Insurance prices vary widely among insurance companies, hundreds of dollars sometimes for the same coverage. Shop around every year to make sure you know what is available to you. Let’s take a look at four insurers, but do your own comparisons before purchasing a policy. Allstate offers plenty of discounts, over two dozen, to be exact. The discounts can be small, 5% off just for joining auto payments, or bigger, like 45% safe driver discount. Allstate offers Drivewise, a low-cost program for low mileage and the savings can go up to 30%. Discounts range from vehicle equipment, driving history and record, customer loyalty and membership in one of 500 “affinity” groups, like organizations and employers. Military members can get up to 15% discount, while federal employees and retirees might be eligible for 8% off. San Diego County is home to Carlsbad Flower Fields and attracts great numbers of residents and visitors who come here to marvel at flowers every spring. The nature is at its best here – wonderful scent of flowers fills the air and photo opportunities are countless everywhere you look. Kids can enjoy thousands of blossoms all around them, navigate the maze made of blossoming sweet peas, and enjoy riding a tractor-pulled wagon through the sea of flowers. 50 acre farm of flowers contain every kind and color under the sun. 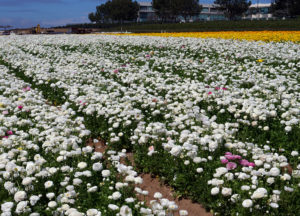 The Carlsbad Flower Fields were established in 1920s and started with ranunculus. The intention was to grow flowers for bouquets, but quite unexpectedly the blossoms started attracting crowds of spectators. Pretty soon the tourists were plentiful and people were flocking to marvel at flowers and take pictures. Edwin Frazee was the owner who understood the value of tourism to his fields and famously said that one penny for each picture taken here would make him rich. This idea was the seed of the current attraction which was opened to tourists in 1993, when Frazee formed a partnership with grower Mellano and Company and established the Flower Fields at Carlsbad Ranch as we know it. They now get about 125,000 visitors every spring.